For those of our readers that follow Major League Soccer it must be intriguing to see what the Los Angeles based Chivas USA club will come up with once they inevitably re-brand and re-design their club's look. 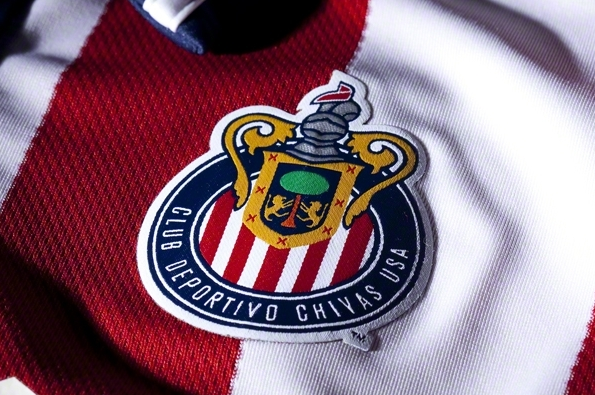 The name and branding currently used by The Goats is licensed by the owners of Mexican side Chivas de Guadelajara, and since the US based club is no longer their franchise, the name and look will have to change as a result. We take a look at some of our favorite ideas. Ok, so perhaps it's not quite an "athletic" club, but just a football/soccer organization, but this first look is quite sharp. 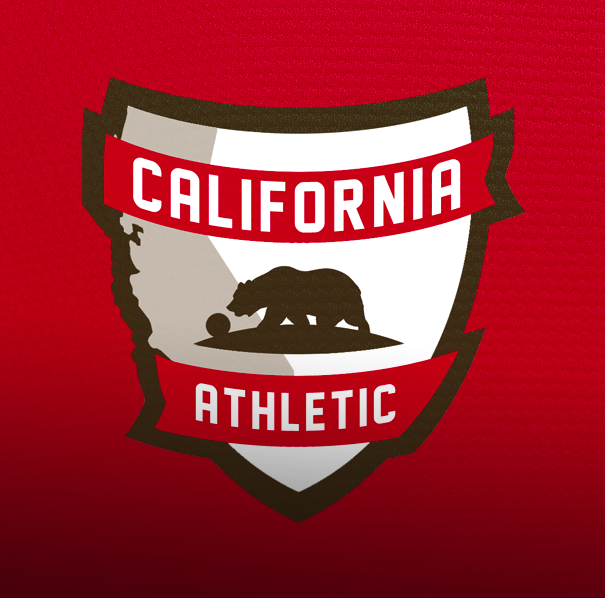 The red/green and the bear taken from the flag of California would make this a very unique look for the MLS as this would be the first club to incorporate these two colors together. The jersey design for this look is also quite to the point. 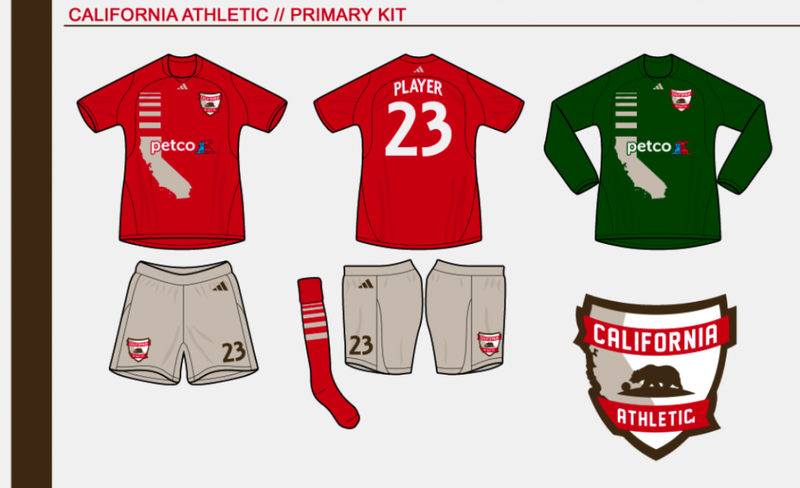 With a slight green contrast to the mostly red and white design, these home and away kits look very professional. I'm not too sure about the Dropbox sponsor on the front of the shirt, but at least this design gives us an idea of how it would look with a company logo on the chest. 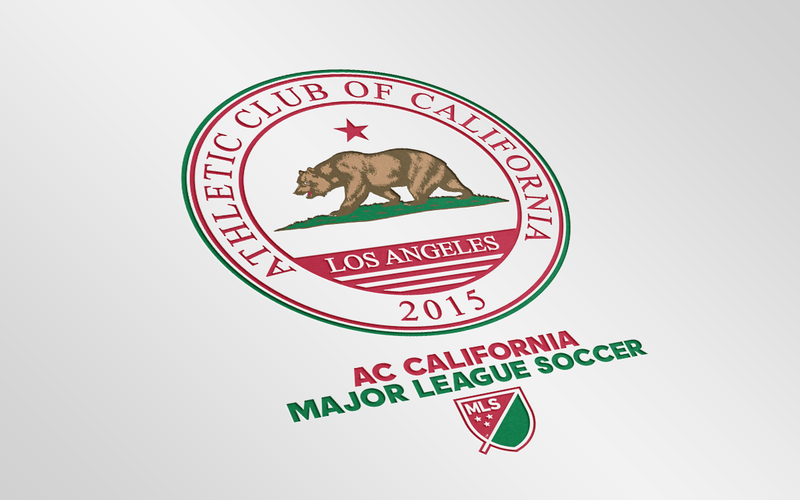 From a design stand point, this crest could use a lot of work. From a name perspective however there is something very intriguing about calling a team from the "city of angels" devils or demons. Yes, I am also getting a bit bored with the similarities, nonetheless, this crest is quite nice. The kits could use some work, as I am not a huge fan of the state silhouette going across the chest like that, but the crest is magnificent. Again, it incorporates the state colors and the bear, but the simplicity of adding the football beside the bear makes this design complete. 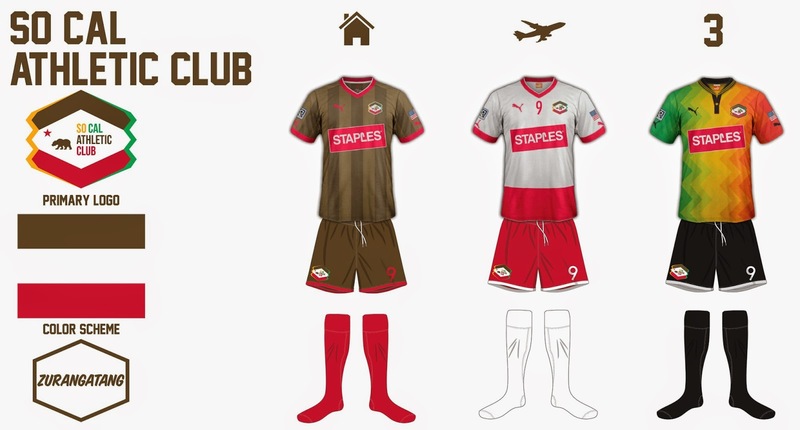 I'm sure that some of these may have been designed by the same person, but even though this one uses a similar name and colors to some of the ones above, check out the kits. I believe the brown together with that particular shade of red is utilized real well in this design. 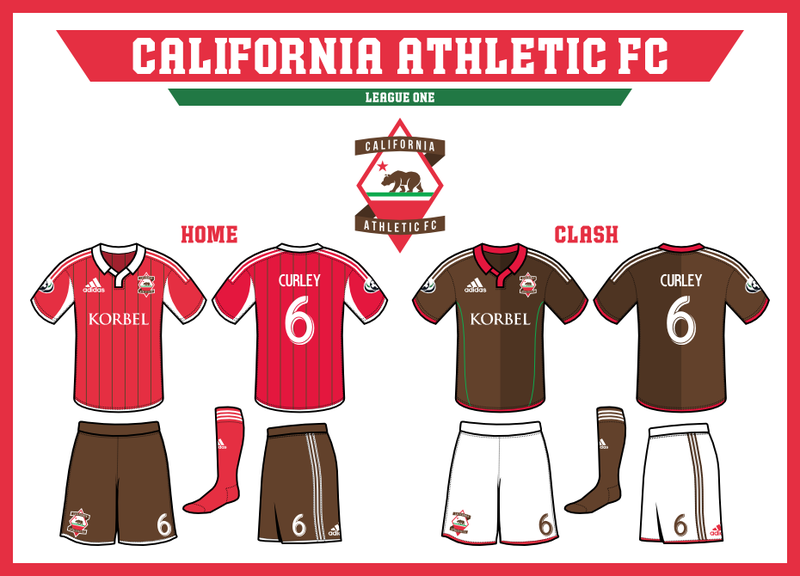 Also, for the alternate (although the Galaxy have done something like that), the kit integrates the colors of the city flag instead of that of the state of California. Here is something both unique and similar, and perhaps something like this would work perfectly for the rebrand for many reasons. First of all, if you are a true fan you don't want your club to change colors all of a sudden and this design keeps the palette identical. Not only that but this crest incorporates the red stripes as the current design and the transition for the fanbase should be quite similar. 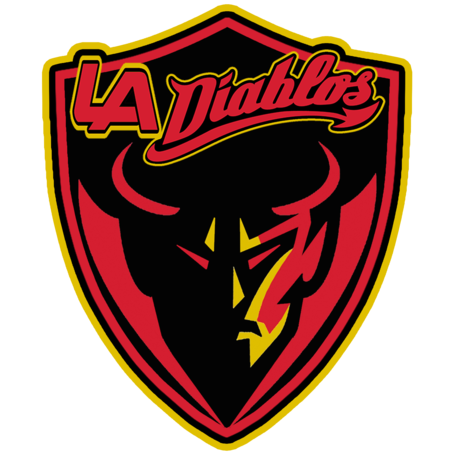 The name Deportivo is a perfect trade-in for Chivas since the club's fan-base is mostly of the Mexican-American background.